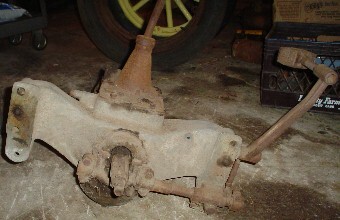 Model T Ford Forum: Anyone know what this transmission fits? Non-T, but about same vintage. Anyone know what this transmission fits? Non-T, but about same vintage. 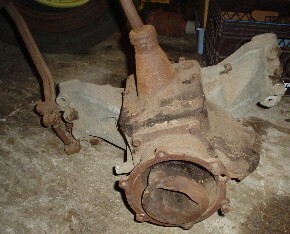 Model T Ford Forum: Forum 2013: Anyone know what this transmission fits? Non-T, but about same vintage. Here is a photo. Any idea what it fits? You are looking at the "output" end. And here is the "input" end. 4 splines on the shaft. It is a regular H shift pattern. 3 speeds forward & 1 reverse. What type of universal joint would this have had? looks like something flat would slide into that socket? Sort of a ball & trunion joint wasn't it?